PhysioFlow® is a range of non invasive hemodynamic monitors. They provide continuous, accurate, reproducible and sensitive measurements of cardiac output and other parameters. Their innovative and patented technology is based on the proprietary principles of signal morphology impedance cardiography (SM-ICGTM). 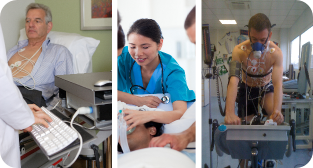 Only PhysioFlow® is proven to work in demanding measurement conditions (highly instrumented ICU, maximal exercise, etc.) and difficult patients (obese, pulmonary oedema, emphysema etc.). 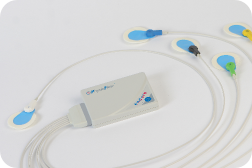 PhysioFlow® is the only non invasive cardiac output monitor approved by the US FDA based on proven non inferiority to the predicate device Thermodilution Swan-Ganz catheter AND superiority to standard ICG.